Tax: About 60 hardwood forest products manufacturing leaders were in Washington this week for a fly-in to discuss issues important to the sector and policy measures that would help address some of their challenges. Top among their talking points was the issue of growing residuals piles at many hardwood sawmills around the country. Two of the policy measures that this group was advocating to Members of Congress and their staffs as potential solutions to this emerging problem are the BTU Act and a more robust Community Wood Energy Program (CWEP). The path forward for the BTU Act (S. 1480 and H.R. 3161) remains unclear. The House is expected to unveil a tax reform bill later this month and begin the process of moving it through the chamber. We will be engaged in that process while also identifying other potential opportunities to move the provisions of S. 1480/H.R. 3161. Regarding CWEP, we have begun meeting with committee staff of both the House and Senate Agriculture Committees about our proposal to make this program more meaningful in the next Farm Bill. The changes we are shopping would provide CWEP with $50 million in mandatory funding annually to underwrite competitive grants for installing high efficient wood heating systems or heat and power systems at public and private institutions. Our goal is to have this proposal, or some variation thereof, included in the energy title when lawmakers begin to write the next Farm Bill later this year and early in 2018. NSPS for Wood Heaters: The House Energy & Commerce Committee's Subcommittee on the Environment held a hearing titled Big Relief for Small Business: Legislation Reducing Regulatory Burdens on Small Manufacturers and Other Job Creators. One of the bills on the docket for consideration was H.R. 453, which would postpone implementation of Phase 2 of the NSPS for wood heaters by 3 years. Frank Moore from Hardy Manufacturing Company in Mississippi testified in support of H.R. 453, arguing that many in the wood heater sector need a national emissions standard but require additional compliance time with the next set of requirements scheduled to take effect in 2020. The hearing can be viewed on the website for the Committee on Energy and Commerce. Companion legislation to H.R. 453 is expected to be introduced in the Senate in the coming days. Senators Shelley Moore Capito (R-WV) and Claire McCaskill (D-MO) are the leads on this effort in the upper chamber. Safeguard your valuable product with Base Plastics' uniquely designed covers. Wednesday, October 18, marks the day for the Fifth Annual Bioenergy Day. Consider inviting an elected official to tour your facility on Bioenergy Day. Whether it's your town's mayor, a state official, a member of Congress, Senator or Governor, Bioenergy Day is the perfect opportunity to introduce government officials to the pellet industry and its many environmental and economic benefits. If you'd like to hear more about what's happening for Bioenergy Day this year, join us for a planning call on Thursday, Sept. 21 at 2pm Eastern Time / 11am Pacific Time. The conference line is 207-805-8183 (no code). Italy recently filed a report on its wood pellet market with the USDA Foreign Agricultural Service's Global Agricultural Information Network, predicting its use of wood pellets will reach 5 million metric tons in 2020. 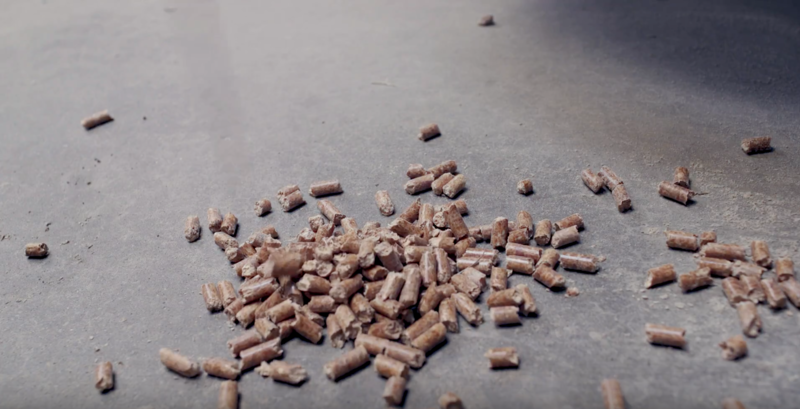 According to the report, Italy currently consumes approximately 3 million metric tons of wood pellets annually, with domestic consumption accounting for 96 percent of total use. The use of wood pellets is currently expected to increase, reaching 5 million metric tons by 2020. Only 15 percent of domestic pellet demand in Italy is currently met by domestic production. The country currently imports approximately 85 percent of the pellets it consumes. Last year, Italy imported 1.66 million metric tons of wood pellets, primarily from Austria, Croatia, Germany, Slovenia, France and Czech Republic. The state Department of Forests, Parks and Recreation has hired a new wood energy coordinator to help expand the use of wood heating across Vermont. Emma Hanson will help the department educate Vermonters about wood energy as part of the state's effort to meet a goal of doubling wood energy's share of Vermont home heating capacity by 2035. Currently, about 21 percent of the state's home heating is from wood. The goal is contained in the state's Comprehensive Energy Plan. "It's a reach goal, but it's a reachable goal," she said. "Definitely, if we continue as business as usual, we won't get there." Hanson's primary focus will be on community outreach and helping local energy communities, schools and municipalities understand " the best choice for communities in different situations." The new position is funded by a grant from the federal government. The state has some seen some gains in wood heating. A survey shows that during the 2014-15 heating season, 38 percent of all Vermont households, about 96,950, burned wood for at least some of their heating needs. That was a 20 percent increase from the 2007-08 heating season, the last time the survey was done. The federal government is calling for proposals for funding innovative, first-in-kind technologies that will transform Canada's forest industry and bioeconomy. The funding is through the Investments in Forest Industry Transformation (IFIT) program, which was established in 2010 and renewed in June this year. IFIT provides non-repayable contributions of up to 50 per cent of a project's costs. Canada's Minister of Natural Resources Jim Carr made the funding annoucement today during his keynote speech to the Canadian Council of Forest Ministers at the Canadian Museum of Nature in Ottawa. "The Government of Canada recognizes the vital importance of Canada's forest sector as an economic driver and major employer of Canadians, including Indigenous peoples. Investing in new technologies to support Canada's emerging bioeconomy and forest sector to become more economically competitive and environmentally sustainable will help us to build a clean-growth economy, create well-paying jobs for middle-class Canadians and realize our climate change goals," Carr said.